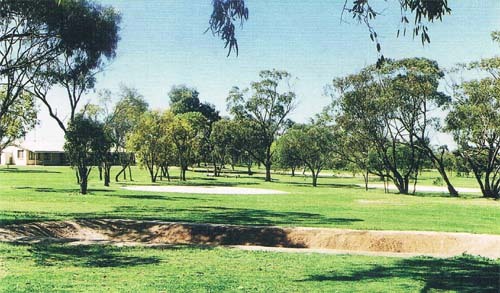 Goomalling Golf Club, opened on 21 July 1915, is an attractive 18-hole course with sand greens, driving range and a comfortable club house. 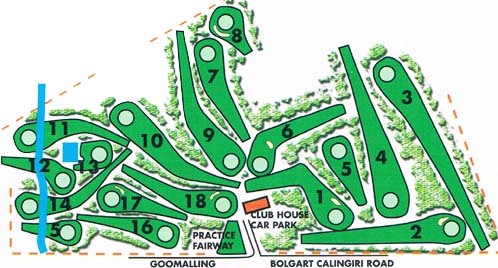 It is located on the Goomalling-Calingiri Rd, just minutes from the Goomalling townsite. New members and visitors are welcome to join in our competitions or have a social game at other times during the April – September season. The course is only closed to the public when the club is hosting major events. For social golfers, an honesty box is located in the meter box on the front verandah of the club house where green fee envelopes and cards are located. Pay your green fees before you play and keep your receipt with you at all times. The club house is unattended most of the time, so all enquiries should be directed to the Club Secretary on (08) 9629 1034. Green fees - $5 or $30 for a season ticket. Membership - $85 per year or $40 for pensioners.